Oh dear. 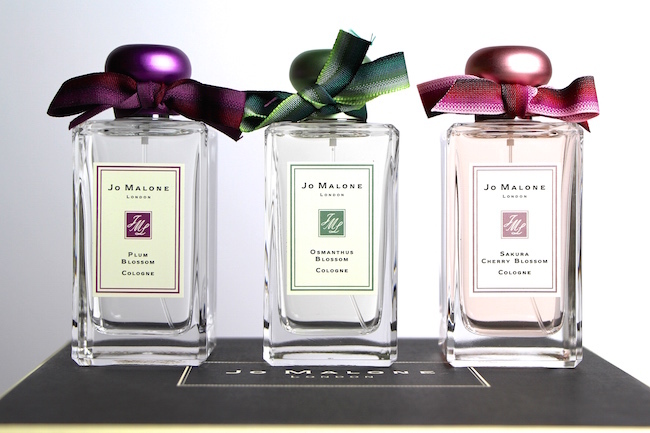 I do sometimes think that Jo Malone gets far too much attention from me in comparison to other fragrance-makers; as a brand, they are kind of like a very cute and confident little girl that can’t be ignored. You know that type of impossibly pretty, curly-haired blonde that runs upstairs to put a tutu on whenever there are visitors and then hurtles back down the stairs to perform a pitch-perfect rendition of Annie? (Usually when everyone is trying to enjoy a glass of wine and talk about adult things.) Her. Everything is always just so covetable and nice to look at – and in terms of mass appeal, the scents are never too wacky or unusual, the ideas behind the product campaigns are universally pleasing… This is by no means a criticism of Jo Malone London; I’m mostly in awe of the marketing skills and behind-the-scenes creativity that must go into keeping each new launch fresh and interesting and completely lust-worthy. Especially when the new launches are so frequent. It’s just that I realised, moments before sitting down to write this review, that the brand manages to get itself a hell of a lot of air time! We’ve only just had Rock the Ages; a series of scents – such as Tudor Rose – that were specially designed to celebrate different eras in British history. Now we have something pretty and sweet to take us into spring – the Blue Skies and Blossoms collection. Perfectly named and perfectly timed – just when the first bit of sun peeks out from behind the clouds, here are three re-released fragrances that are spot-on for the new season in terms of both appearance and scent. You can find the “Blue Skies and Blossom” collection at John Lewis here – £86 per 100ml. *disclaimer, for those who take everything literally: I am NOT drinking ready made cans of G&T. Or sparkling wine, for that matter. If you’d like to follow my pregnancy diary, it’s over here. Previous Post Aveda Botanical Kinetics Energizing Eye Cream – Tick!